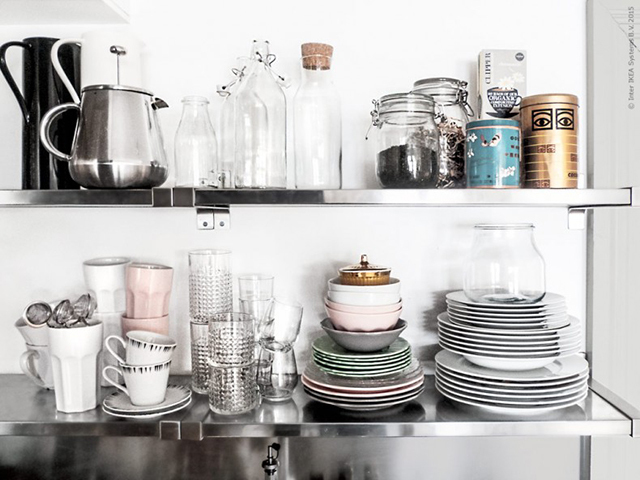 If you haven't yet discovered IKEA Livet Hemma you will no doubt be pleasantly surprised. In particular I love seeing their collaborations with different stylists who show their expertise by styling even the most basic IKEA products to maximum effect. 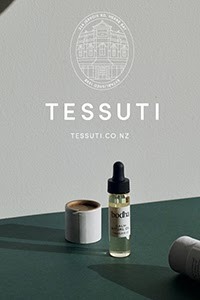 While IKEA has not yet reached us here in NZ, there are a growing number of companies who ship in products to order. One is online store Akia who lucky for me have recently opened their first retail store near to where I live. I've since been popping in regularly and rarely leave empty-handed! 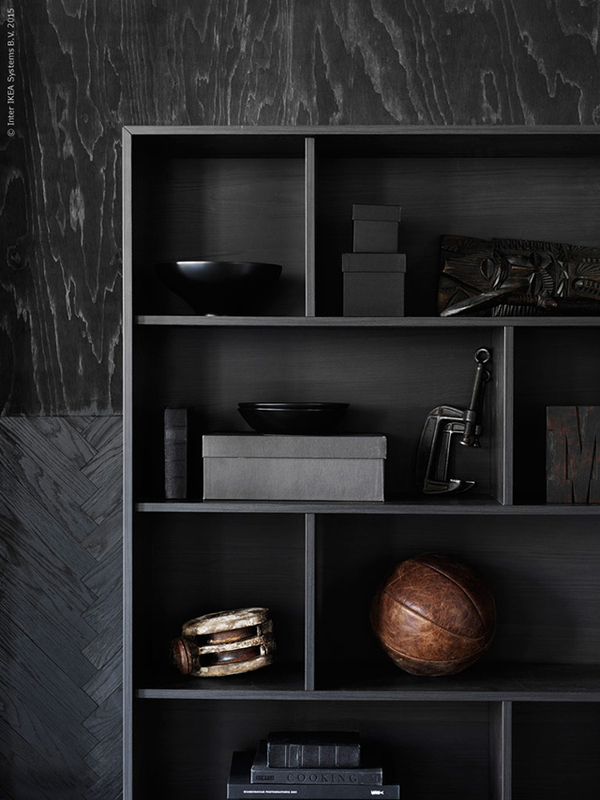 Kicking off 2015 with loads of inspiration, here are my latest picks from Livet Hemma, where you will find all of the product details for each image below. 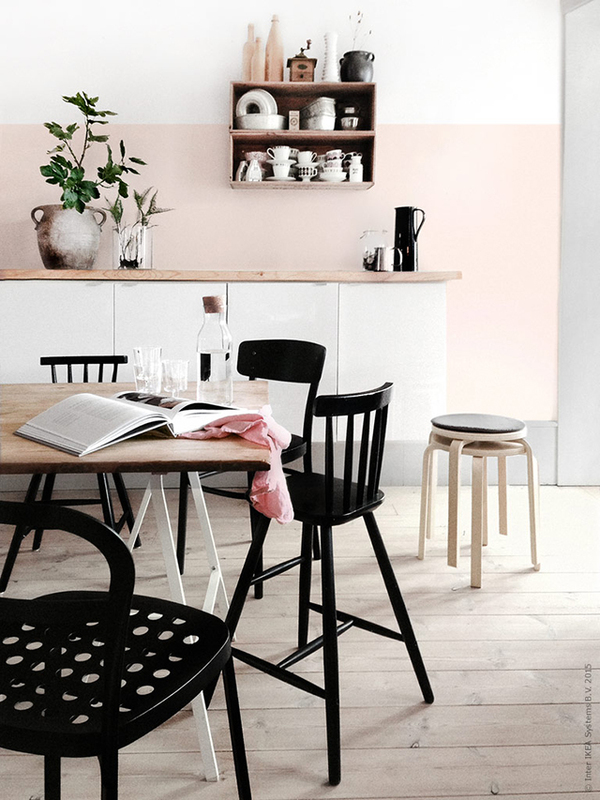 Newly renovated this pretty kitchen belongs to stylist Frida who has mixed pastels with black accents and light wood. 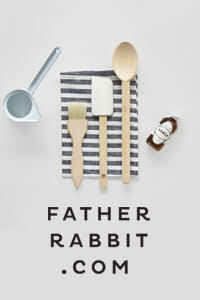 I especially love the two-toned wall and relaxed family vibe. 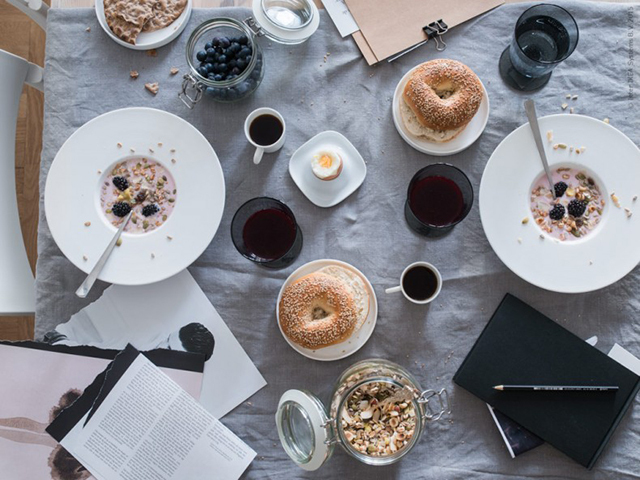 A breakfast meeting at a fashion magazine was the inspiration behind this lovely styling by Maria Riazzoli of RIAZZOLI. 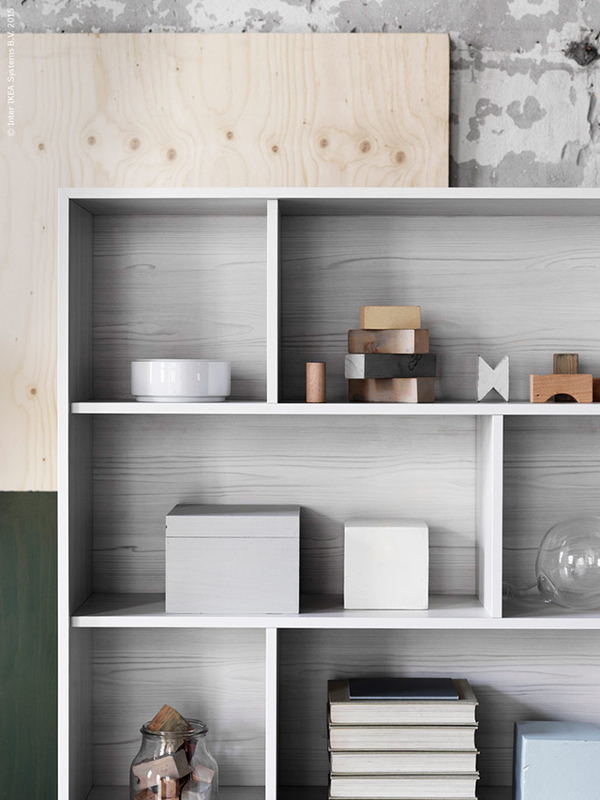 It features calm colours, natural materials and the light that everyone is craving after a long dark winter in Scandinavia. 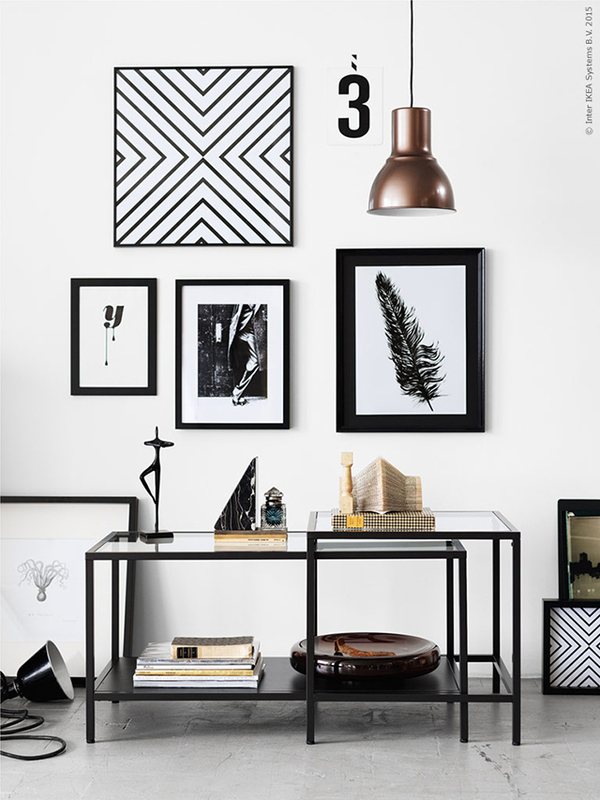 A must-have item in the 70's and 80's, the glass table is making a comeback as seen here with the IKEA VITTSJÖ. 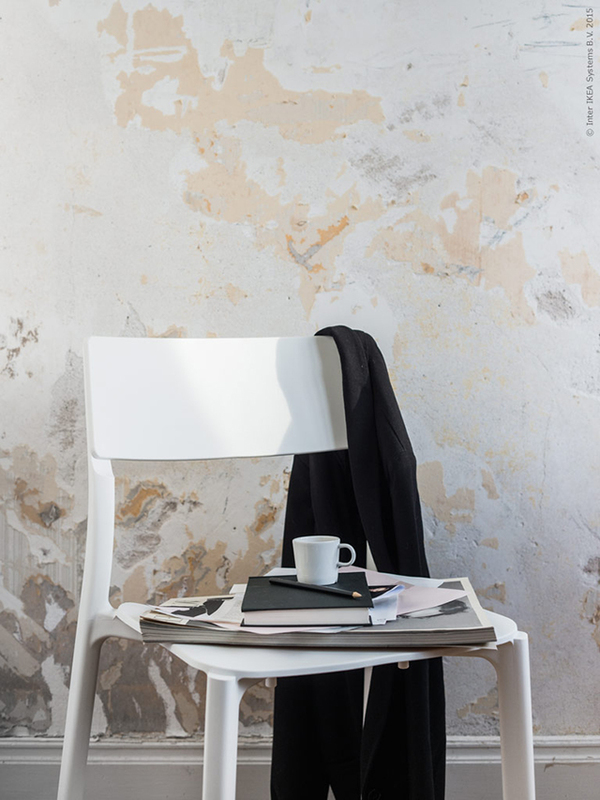 A nest of tables in glass with dark graphite grey steel frame, I really like the minimalist design. The graphic picture wall in black and white is also spot on! 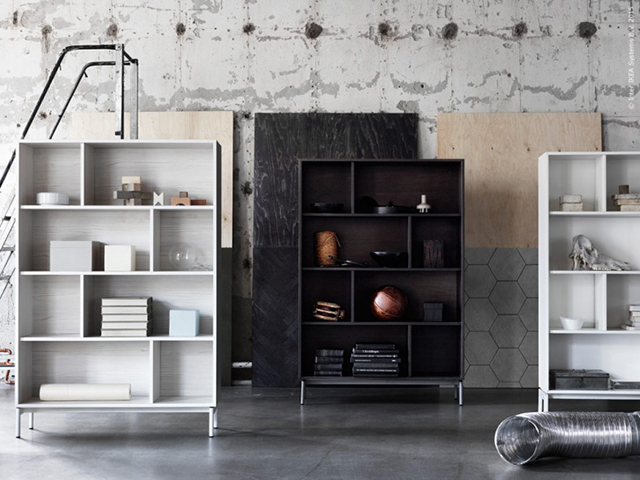 Arriving in stores February, IKEA VALJE is a range of bookcases and wall units that can be easily combined into decorative and personal storage solutions. Easily assembled thanks to the clever construction of wooden dowels and cut-outs that simply click together, I predict these will be very popular, especially that pale grey wood. 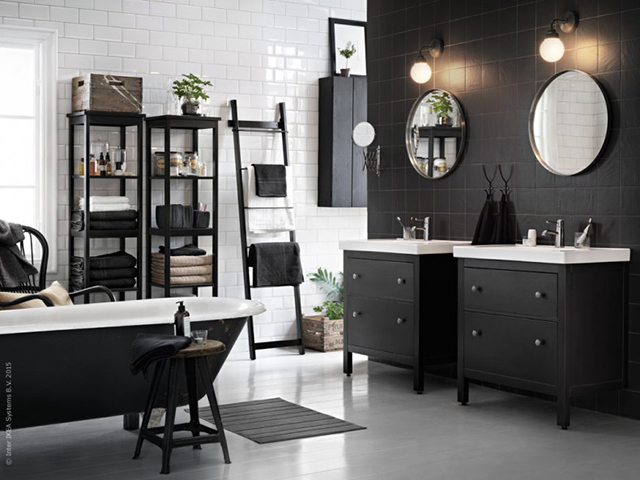 This bathroom styling is a standout with it's bold monochrome palette and classic elements like the claw foot bath and subway tiles. 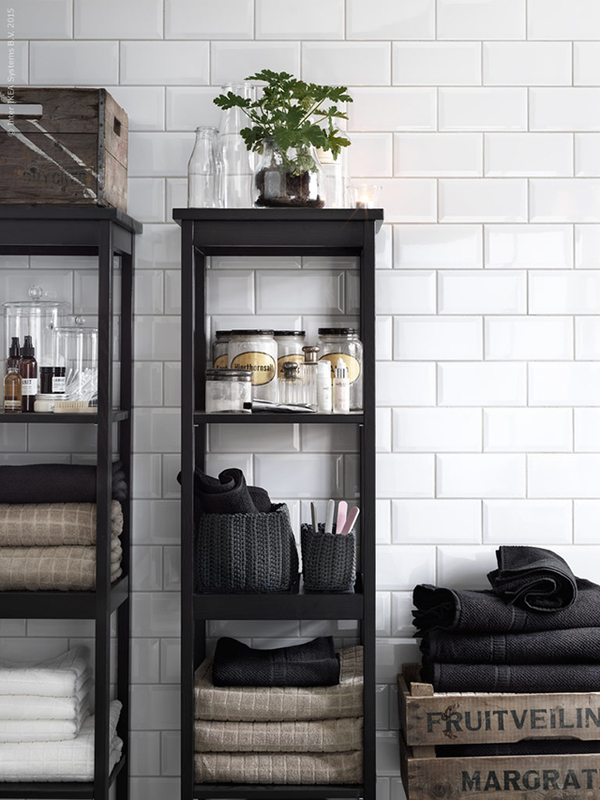 It features the IKEA HEMNES series designed to organise your bathroom, regardless of size. 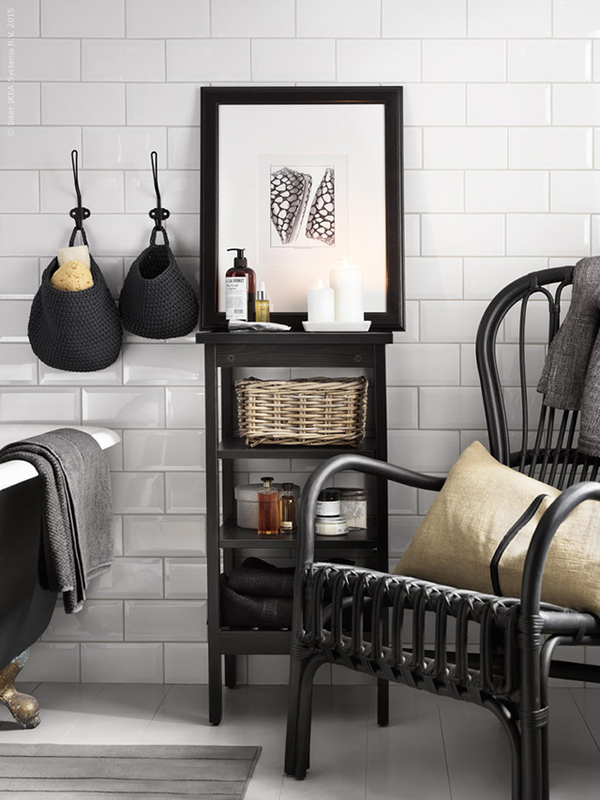 I also love the smaller details like the GRUNDTAL round mirrors and the NORDRANA storage bags which would be perfect above our kids bath! 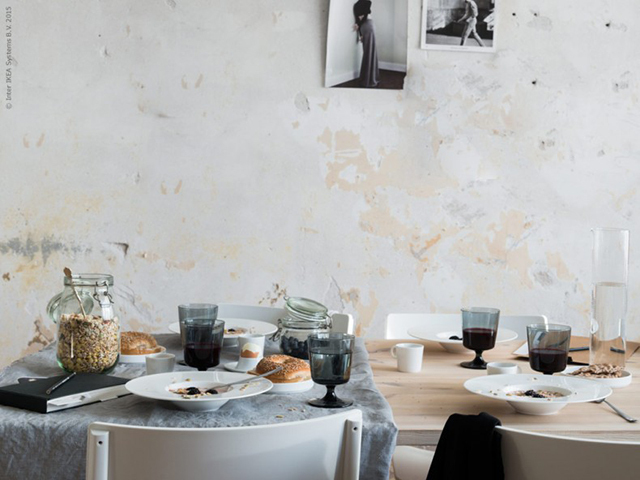 I love Ikea, one of my favorite brands, and the styling from IKEA Livet Hemma is fab!